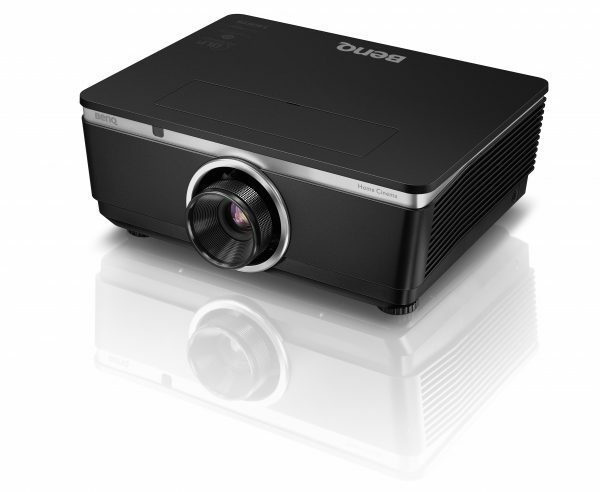 BenQ has announced the launch of its latest projector model. The flagship HT6050 projector is now available through BenQ Integrators’ Choice distribution partners for the $3,799. The two-input HDMI projector is 1920×1080 resolution Colorific HT6050 leverages the Rec. 709 HDTV standard and also has a 6x speed RGBRGB color wheel. J.Y. Hu, vice president at BenQ America Corp said, ‘The new HT6050 projector uses the latest DLP DarkChip3 technology and a unique color wheel design to deliver the HD cinematic color right out of the box, Customers no longer have to settle for a less-than-cinema-grade experience and user can enjoy excellent video quality and accurate colors just as the director intended — right in the comfort of their own home and also at an affordable price point as compared to models that cost two to three times more’. With the HD cinematic color quality, the HT6050 uses BenQ’s CinemaMaster advanced audio and video processing suite to enhance the video content with smoother motion. It claims a 2,000 ANSI lumens and a 5000:1 contrast ratio and has 5 optional zoom lenses from 0.77:1 to 5:1 with -20 to 60 percent vertical and ± 5 percent horizontal lens-shifting. The HT6050 is ISFccc-certified, features vertical and horizontal lens shifting, and is designed to meet the Rec 709 HD color standard out of the box. The new HT6050 is available now. In addition to the new HT6050 projector, BenQ also recently announced the launch of the PV3200PT 4K Ultra HD Monitor ($1,499) for video editing professionals. The LED LCD monitor features a 32-inch 4K Ultra HD 3840 x 2160 IPS panel with a 16:9 aspect ratio.